The Lighthouse restaurant since 1998 offers a seasonal menu of Greeek authentic meals, while exploring creative new dishes with weekly specials. All of our dishes are freshly prepared and served. Fresh fish is always available to choose from and eat. Indulge in the delicious deserts available or a fine glass of wine. With dining available inside and out. The Lighthouse Restaurant is in an ideal location in Katelios for a coffee, wine or meal. Our restaurant from 8am in the morning till 11am offers the best breakfast in Katelios. This is a family business running for years. We want all of our customers to enjoy our meals and take with them the best experience that they can get. 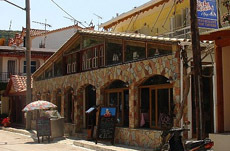 Lighthouse is a family Restaurant, established in 1977, by Nikolaos and Kaiti Papadatou. Now the business runs by their two sons and their families. 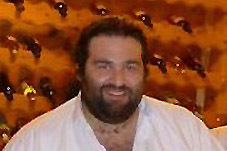 Makis Papadatos is the head sef of the restaurant and his dishes are well known by everyone who visits the restaurant often. Kostas Papadatos is the oldest son, and he is in charge of running the restaurant, as well by making sure that all customers are satisfied. Since the first day of the restaurant until now the Lighthouse restaurant has served a lot of people and its reputation is growing by the years. The restaurant operates from the 1rst of May and ends for the winter at the first days of November. Read the story about the journey of the Lighthouse restaurant from the mother our the family, Kaiti Papadatou.